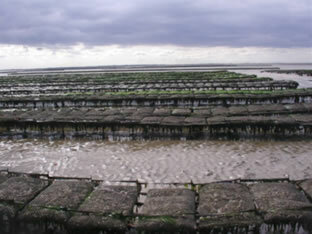 We are keen to demonstrate the further utility of ShellGIS at additional locations worldwide, capitalizing on the range of shellfish species for which growth and environmental effects have already been calibrated, including streamlined protocols for calibration of new species, including for the preparation of ShellGIS for new geographic systems. We are also interested in developing custom solutions for different types of aquaculture gear, such as intertidal oyster culture on rack-and-bag system, where the hydrodynamics of the culture system may be characterized. 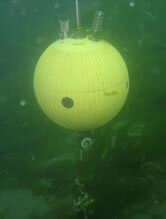 To help with preparing ShellGIS for new geographic systems, we are involved in the development of low-cost coastal monitoring buoys that will improve spatial resolution of collected data describing the environmental variables that affect shellfish growth. We are also working to include prediction of the benthic footprint and ecological effects of faecal deposits from cultured shellfish. Establish how differing public or scientific opinions can affect the decision making process.